Charles Barkley attends the 2008 National Collegiate Basketball Hall of Fame induction ceremony Sunday, Nov. 23, 2008, in Kansas City, Mo. Former Philadelphia 76ers star and basketball legend Charles Barkley will soon be expanding upon his role as an NBA analyst for TNT after the network approved a new series that will explore "social divides and entrenched corporate interests" in the United States. In a news release on Monday, TNT revealed that the working title for the new limited-run series will be "The Race Card," a blunt reference to the tone and tactics of American identity politics. 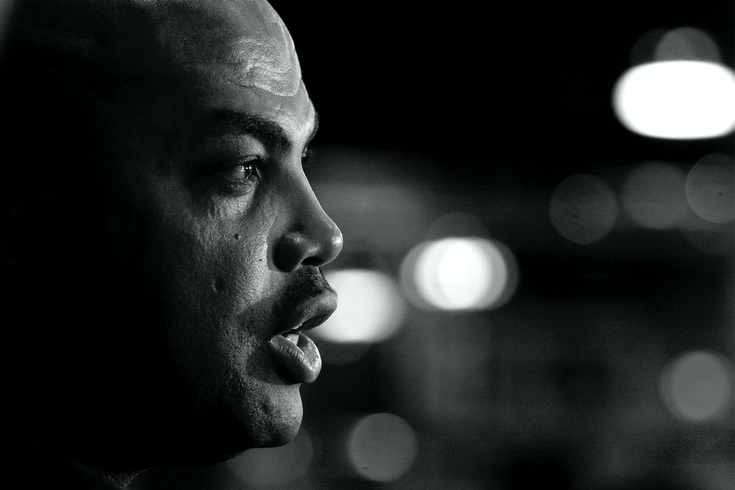 Widely regarded as a conscientious loose canon, Barkley has made a post-NBA name for himself speaking out on issues ranging from race to inequality and LGBT rights. The Hall of Famer's popularity in Philadelphia has endured long after his blockbuster trade to the Phoenix Suns for sharpshooter Jeff Hornacek in 1992. “The cops have made some mistakes, but that doesn’t give us the right to riot and shoot cops. We need the cops, especially in the black community. We as black people, we’ve got to do better. We never get mad when black people kill each other, which that has always bothered me … I’ve always said if we as black people want more respect, we have to give each other respect. You can’t demand respect from white people and the cops if you don’t respect each other. We’ve got to do better as black people. Apparently, Barkley has decided he does want to get on TV, just without yelling like an idiot. "We as Americans never discuss the issue of race in this country and how it impacts everything in our lives until something bad happens," Barkley said in the TNT release. "I see this project as a way to talk about race, class and cultural differences and challenge everyone's status quo." That description could potentially include Barkley's views on the evolution of the NBA. He recently faulted former Thunder superstar Kevin Durant for leaving Oklahoma City to sign with the Golden State Warriors in pursuit of a championship. Former NBA cult hero Jason Williams, a k a "White Chocolate," joined many others in blasting Barkley and Reggie Miller for suggesting Durant was cheating his way to a title. One of Barkley's charms, however, is a healthy dose of humility to counterbalance his frequent bombast. In his 2002 New York Times' bestselling memoir "I May Be Wrong but I Doubt It," Barkley opened up about his upbringing in Alabama and his journey to the ranks of the NBA's elite. His 2005 follow-up, "Who's Afraid of a Large Black Man?" featured Barkley interviewing the likes of then-Senator Barack Obama, Jesse Jackson, Samuel L. Jackson, Morgan Freeman and Ice Cube, among others. “I’m not perfect. I’m not trying to be perfect," Barkley continued in his ESPN appearance. "But you have to ask yourself, ‘Are you part of the problem or are you part of the solution?’"
The series, expected to launch in early 2017, will be produced by Turner's in-house Studio T in association with DocShop Inc. and Kin Studios. Executive producers include Barkley, Lee Gaither, Marc Perman and Dan Partland, who led efforts behind CNN's acclaimed documentary series "The Sixties." Barkley, 53, will also continue in his role on TNT's "Inside the NBA" alongside Shaquille O'Neil, Kenny Smith and Ernie Johnson, where he has worked as an analyst since 2001.